ASBESTOS is a fibrous heat-resistant mineral and has been used in building-construction materials, textiles, missile and jet parts, asphalt, and caulking compounds and paints, and in friction products such as brake linings. Uncountable materials and places are incorporated with asbestos. It was one of major materials used before the WWII. However, inhaling some kinds of asbestos fibers is now thought to cause various illnesses, including cancer, and thus most uses of asbestos are banned in many countries. The fine asbestos fibers are easily inhaled, and can cause a number of respiratory complaints, including a potentially serious lung fibrosis called asbestosis. Exposure to asbestos has also been determined to cause a very serious form of cancer, mesothelioma, that occurs in the chest and abdominal cavities. When inhaled, asbestos is carcinogenic. In the United States alone, it is estimated that ten thousand people die each year of asbestos-related diseases, such as mesothelioma, asbestosis, lung cancer, and gastrointestinal cancer. Asbestos has a synergistic effect with tobacco smoking in causing lung cancer. Up to this time, although asbestos is prohibited to use for almost all kinds of products, it still exists worldwide producing health problems. It is the reason I am warning to those whom it may concern. After WWII, American medical journals announced that asbestos causes cancer. In fact, many workers of asbestos factories died due to asbestos dust. Today, not only the workers of asbestos factories but also families of the workers and neighboring residence to the factories, including schools, railroad stations, and factories using asbestos materials are affecting thousands of people for inhaling of asbestos fibers. A man was working in an asbestos factory. He went home with his clothes filled with asbestos dusts. His wife had to wash it everyday. She was getting weak and thin, so she went to a nearby clinic for her checkup. The doctor told her husband that she was suffering from lung cancer. After few months, she died. A family was living near an asbestos factory. No one of them works in the factory. One day, the head of the family became sick and pronounced as lung cancer. He died soon. His lung was examined by a Japanese government hospital and found a string of asbestos. A school student got lung cancer and died. His lung was examined by a Japanese government hospital and found a string of asbestos. However, he never lived near an asbestos factory. After the studies done by the Japanese Ministry of Health, they found that the school ceiling was covered with asbestos. In Japan, thousands of patients died of asbestosis after WWII. Studies done by the Ministry of Health showed that more people were affected from asbestos fibers when their houses are near the factory. Most respirable asbestos fibers are invisible to the unaided human eye because their size is about 3.0-20.0 micrometer in length and can be as thin as 0.01 micrometer. Human hair ranges in size from 17 to 181 micrometer. As they get smaller and lighter, they become more mobile and more easily entrained (wafted) into the air, where human respiratory exposures typically result. 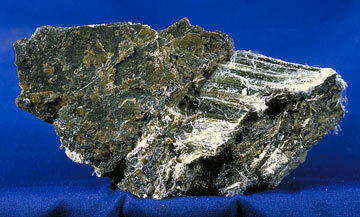 Therefore, more people might be affected by the fiber without any knowledge about asbestos presence. For the above reason, of course, some of them tried to use PYRO-ENERGEN without knowing the asbestos in their lung. PYRO-ENERGEN is good for diseases not caused by bacteria and toxic matters (pollutants) like the asbestos. Yes, viral diseases and diseases of unknown cause can be treated by PYRO-ENERGEN remarkably. If you feel coughing and reduction of appetite or you believe that you're suffering from asbestosis, we recommend lung diagnosis with X-ray, and if possible, Chest CT scan examination by asbestos specialists.